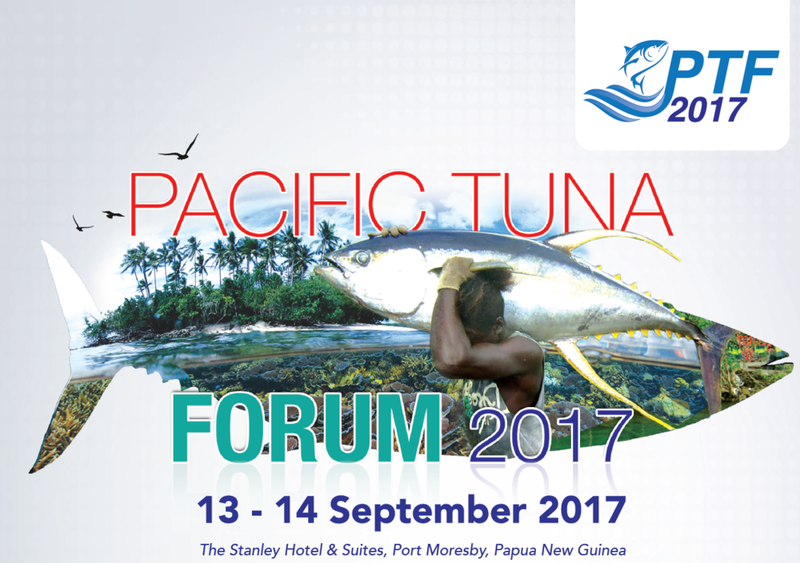 Just back 6th Pacific Tuna Forum in Port Moresby in PNG. Is were the "who is who" tunawise around the region should meet to debate on current issues in the Pacific tuna sector. Covering the developments in the VDS scheme, impacts of climate change on fisheries, sustainable fishing practices in the Pacific, regulatory issue, markets opportunities and challenges and opportunities in growing Pacific Islands based tuna fishing and processing industries. Yet it wasn't much debate, overall was a rather mild Forum, not a lot of people, particularly if compared with the last one in Fiji in 2017. The conference started with a stern presentation of the current PNG Prime Minister: Peter O’Neill… who politics besides (he is embedded in more nationalistic approach) started deeply questioning (to my delight) some of the issues that I have pointed here for years. The DWFN operating here (mostly Philippines) have been based here for over 20 years as a way to get cheaper access under the excuse of developing the local industry. Yet the 5 canneries here are working at less than 25% capacity, less than 15% of the fish caught here is landed in the country, locals are confined to the lower ranks jobs, vessels flagged locally have only 3-4 locals on board… and so on. In other words, the Philippine, Thailand, Taiwanese, etc., tuna industries survive based on local fish… and here we get the crumbs. Looks like the present political leadership, seems to be keen to change that. So even if they only do 50% of what they promise it should be ok. I started my presentation with few words in Māori (Maori language week in NZ) and expressing my big and sustained disappointment to the fact that of 30 speakers only 4 are women, in an industry that has a whole is much more balanced and has very capable female leaders. And this is not a fault of INFOFISH (the organisers) who are mostly women. In fact, Shirlene Maria Anthonysamy (the 1st woman in charge of the organisation in its history) and her mostly female team are trying to do the right thing, yet is telling that she has been the Acting Director for over a year now without being confirmed. After having been part of the 6 editions (over 12 years) I decided I will not participating again until a fairer gender representation is on stage, and I’m doing this just based on a sense or what is right, my views of working with women in fisheries are long-held. We just need to do better, simple as that. Of the presentations, three impacted me the most and they came from Feleti Teo the Boss at the WCPFC and my colleagues in SPC Valérie Allain and Robert Scott. I will blog about Valeries' work on climate change later on. 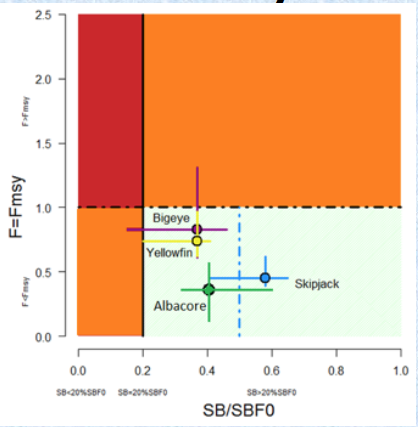 The numbers of fish captured are as usual staggering, even if the news show that the stock are on the "safe" zone, yet at differwnt risk levels. Is important to note that around only USD 500 million stays in the Pacific. And this is to be seen as positive, 10 years ago it was only 90 million! but still, shows that we get crumbs.